of Thomas Strommen, the group’s sound combines the world-funk of Martin-Medeski-Wood-Scofield with the freebop of the 1960s to create inside-outside interpretations of standards and originals. Eric Graham is active as a bassist, keyboardist, and composer. He performs in a broad variety of music projects in the Upper Midwest, and has played professionally with jazz luminaries Mike Stern, Ernie Watts, Dave Liebman, and Matt Wilson. For his creative endeavors, he has received awards from the Jerome Foundation, Minnesota State Arts Board, McKnight Foundation and ASCAP. A classically trained composer, Graham’s composition c’TRANE b’TOK was presented by the Saint Paul Chamber Orchestra as part of their Chamber Music Series. Graham is a full-time music professor at Century College where he teaches courses in jazz, world music, and popular music; in addition, he serves on the music faculty at the University of Wisconsin – River Falls. Graham holds a Master’s degree from the Peabody Conservatory of Johns Hopkins University. He was raised in Barrow, Alaska — an Inupiat Eskimo village 400 miles north of the Arctic Circle. Thomas Strommen, (saxophone/composer) studied with Dr. David at UW River Falls. 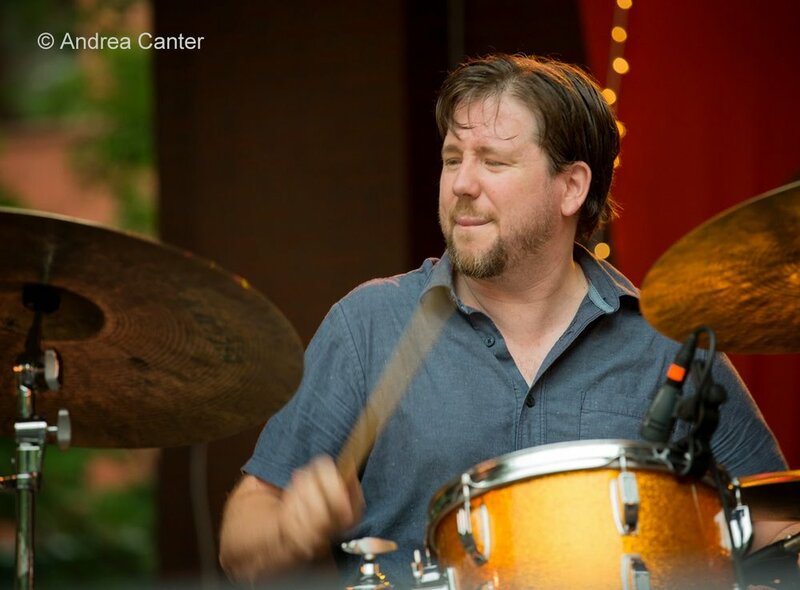 A native to the Twin Cities area, he is active on the scene with the likes of Levi Schwartzberg and Steve Kenny’s Group 47, and is another founding member of The Dark Blue Quartet. Dylan Nelson, (guitarist/composer), is a graduate of UW River Falls. While originally from St. Paul, he currently lives with his wife in Blaine, MN. While at UWRF, he studied under Joe Hagedorn, Dr. David Milne, Craig Hara, and James Michael Roy. He teaches private studio lessons in the areas of electric, classical, and acoustic guitar in the styles of rock, jazz, classical, folk, and funk.